Gaining (and retaining) clients is the goal of every business. Networking, whether at a formal event like a “Business after Hours,” or at less formal event like informational seminars or trade shows, is a great way to meet new business connections and find potential clients. But networking doesn’t come easy to everyone. Some people seem to be born for networking events and others have a harder time feeling comfortable in business-social situations. If you fall into the latter group (like me! )—or even if you’re one of those people for whom it comes naturally—here a few simple ways to make the most of your business networking event and become a superstar networker. Know your goal before you get there. Know why you are attending this particular event, what you want to accomplish and the type of person (or even the person) you want to meet while you’re there. Having a focus will keep you on track. 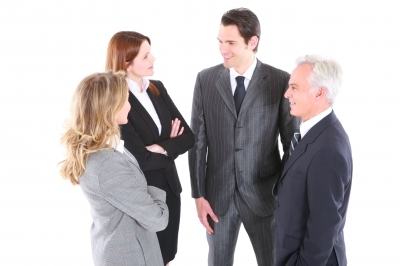 Think about your “audience” and dress appropriately for the type of event you’re networking. A business suit would be out of place at a barbecue, just as shorts and sandals would diminish your professionalism at a formal charity event. Dressing to the occasion and the audience will get you more positive interaction. Listen more than you talk. Everyone likes to be listened to. Come up with a couple of interesting questions to grab people’s attention and then really listen to their answers. You’ll gain a lot more traction if you can develop good listening skills than if you start pushing your company or your product. Be excited! You are here so make the most of it! Even if you’re an introvert, you can put on your game face, don a pleasant smile and allow yourself to enjoy the experience. People tend to be more drawn to happy, pleasant people than someone who looks like they’d rather be getting a root canal. Bring a pen and jot down notes about the person you have just spoken to on the back of his or her business card to help prompt your memory. This will help you sort out potential clients and alliances later. Along with that, jot a personal note on your business card before handing it to someone to make yourself more memorable to them. Business cards that are different in some way will stand out from the others and be remembered, along with their giver. Be open. Just because someone doesn’t appear to be your target client on the surface, remember that everyone has associates and they may be the link to getting to meet that elusive perfect prospect. Allow yourself to meet a variety of people and always be pleasant whether they fit your goals or not. If you meet someone who is really a dud and you’re feeling monopolized, find a gracious way to make your exit. Thank them for their time and introducing themselves and politely excuse yourself. Have FUN and RELAX… this is not a contest to see how many people you can talk to or how many business cards you can collect. This is an opportunity to meet people and make connections with whom you can create a business alliance or convert into new clients. If you’re the reserved type and having a hard time approaching a group you don’t know, position yourself near the refreshment table. 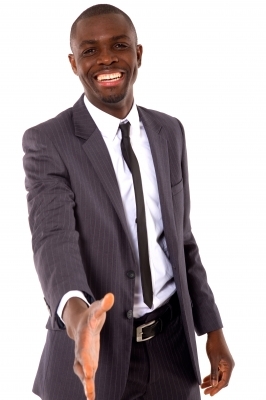 People will come to you, generally solo or in smaller groups, making it a little easier to introduce yourself. After the event is over review what you could have done better and change it for the next meeting. Follow up with everyone who gave you a business card—if you have an immediate ability to do business with them, call. If not, send them an email, or better yet—a handwritten note. This will make you memorable. 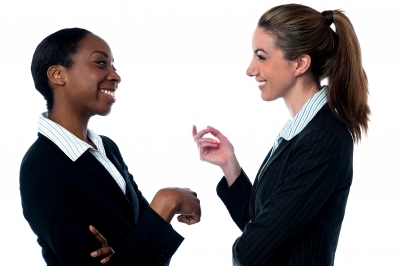 What’s your best networking tip or strategy? Share it below. Thanks, Bonnie. And yes, I definitely agree with the name tags. They do make life so much easier–especially if they are the pre-printed kind where you can actually read someone’s name. The sticky tags with illegibly scribbled names on them just don’t do the job, do they?